Many thanks to Janet Ziebell of the Georgia Tech College of Sciences for her help creating this poster, and to Ken McMurdy for designing the conference website. Here is a memorial article about Robert which I co-authored with Barry Mazur and Ken Ribet. I encourage you to read it! It will be published in the new open access journal Research in the Mathematical Sciences, in a special volume dedicated to Robert. You can find other interesting links related to Robert Coleman’s life and work here, and in this older blog post of mine. A famous result of David Hilbert asserts that there exist irreducible polynomials of every degree over having the largest possible Galois group . However, Hilbert’s proof, based on his famous irreducibility theorem, is non-constructive. Issai Schur proved a constructive (and explicit) version of this result: the Laguerre polynomial is irreducible and has Galois group over . I am very sad to report that my Ph.D. advisor, Robert Coleman, died last night in his sleep at the age of 59. His loving wife Tessa called me this afternoon with the heartbreaking news. Robert was a startlingly original and creative mathematician who has had a profound influence on modern number theory and arithmetic geometry. He was an inspiration to me and many others and will be dearly missed. Robert was born on November 22, 1954 and earned a mathematics degree from Harvard University. 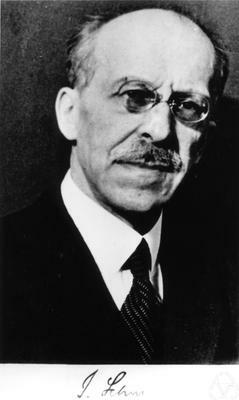 He subsequently completed Part III of the mathematical tripos at Cambridge, where he worked with John Coates and made important contributions to local class field theory. By the time he entered graduate school at Princeton, Robert had essentially already written his doctoral dissertation, but his formal thesis advisor was Kenkichi Iwasawa. He began teaching at UC Berkeley in 1983 and was a recipient of a MacArthur “Genius” Fellowship in 1987. Robert published 63 papers, including 8 papers in the prestigious journal Inventiones Mathematicae and 5 in the Duke Mathematical Journal. 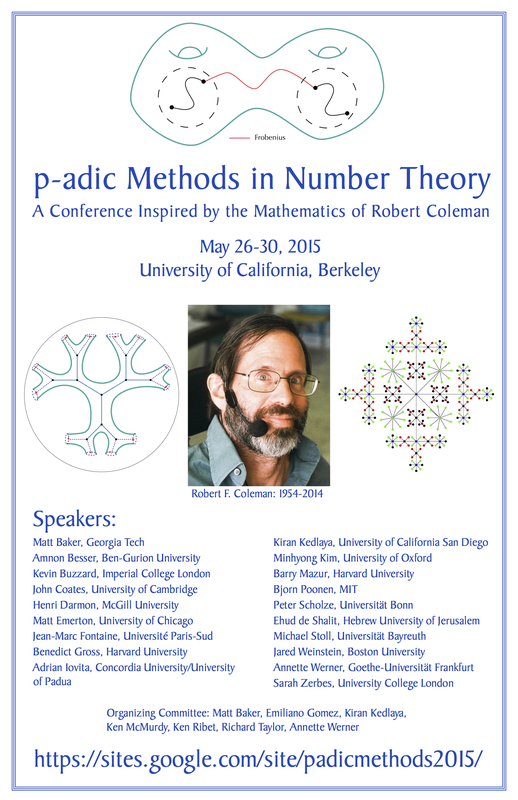 He had an amazing intuition for everything p-adic. Long before the invention of Berkovich spaces, Robert could somehow visualize paths and structures in p-adic geometry which no one else in the world saw as keenly or as profoundly. I rarely saw him reading papers or books. He seemed to figure out whatever he needed to know almost from scratch, which often made his papers quite difficult to read but this went hand in hand with his brilliance and originality. When I was a graduate student at Berkeley, Robert hosted an invitation-only wine and cheese gathering in his office every Friday afternoon code-named “Potatoes”. Among the regular attendees were Loïc Merel and Kevin Buzzard, who were postdocs at the time. It was a wonderful tradition. In the summer of 1997, while I was still a graduate student, Robert invited me to accompany him for three weeks in Paris to a workshop on p-adic Cohomology at the Institut Henri Poincare. That was the first time I met luminaries like Faltings, Fontaine, and Mazur. Since the workshop was (a) totally in French and (b) on a topic I knew almost nothing about, I was in completely over my head. But I fell in love with Paris (which I’ve since returned to many times) and my best memories from that trip are of dining with Robert and seeing the city with him. The trip also taught me to appreciate the significant challenges which Robert, who had Multiple Sclerosis, bravely faced every day. I remember helping Robert check into his hotel room near the Luxembourg Gardens, only to find out that his wheelchair did not fit in the elevator. We had to find another hotel room for him, which was not so easy given the level of our French! 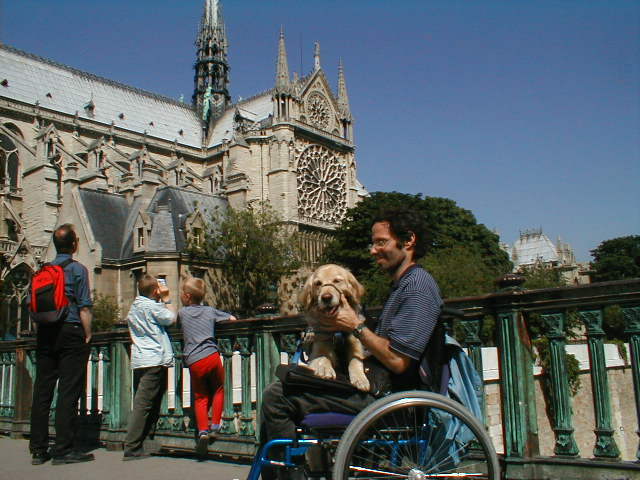 Curbs were a constant challenge for Robert, as finding on- and off- ramps for wheelchairs in Paris was like trying to get a vegan meal in rural Arkansas.